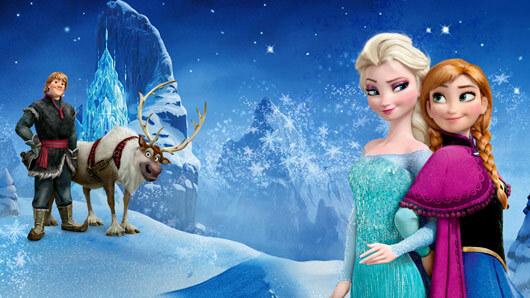 The ending, and its emphasis on sisterly love, is one of the main reasons why Frozen is so widely adored. However, it wasn’t always going to play out that way. In fact, Peter Del Vecho has now uncovered the very different story that was in the original draft. Peter said: “So Anna was not a princess. Elsa was a self-proclaimed Snow Queen, but she was a villain and pure evil — much more like the Hans Christian Andersen tale. He added: “We learn Elsa is a scorned woman; she was stood up (by Hans) at the altar on her wedding day and froze her own heart so she would never love again. Apparently the film originally then ended with Elsa unleashing snow monsters on Anna, with Kristoff soon coming to the rescue. Hans triggers a massive avalanche to kill everyone, so Anna persuades Elsa to use her powers and save them. Elsa’s heart then thaws, and she is finally able to love again. Peter continued: ‘The problem was that we felt like we had seen it before. We had no emotional connection to Elsa — we didn’t care about her because she had spent the whole movie being the villain. We weren’t drawn in. The characters weren’t relatable. The producer told Entertainment Weekly: “One of the things Chris Buck had in most versions of the film was a moment where Anna’s heart was frozen and needed to be thawed. Chris said, “Does it always need to be true love’s kiss that solves that problem? Does it always have to be the man who comes in and rescues the female? Could it be something different?” and that led to a different ending. “Now that they’re related, Elsa had her own fear and it was Anna who would save the day instead of Elsa by rescuing her sister — and it would be that selfless act that thawed Elsa’s heart. The creators knew at once that the story had come together, with the final draft receiving a standing ovation after artist John Rippa brought it to life on screen.